Jeff is an experienced litigator with an innate ability to hone in on what matters to resolve complex business disputes. As a trial attorney, he represents Fortune 500 companies and industry leaders in a wide variety of matters. Jeff leads the firm’s rail industry efforts. He has successfully defended clients in class actions across a broad range of subject matters, including healthcare, the Employee Retirement Income Security Act (ERISA), financial and insurance regulations, antitrust, securities fraud, software licensing and royalties, software conversion projects, and consumer protection laws. 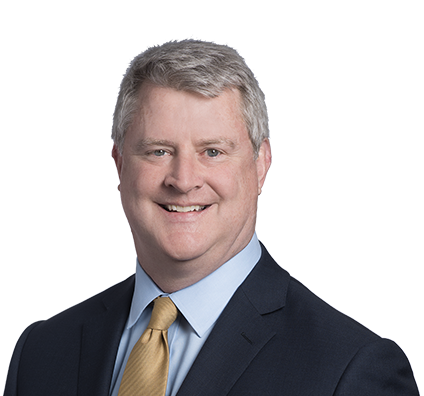 Additionally, Jeff has represented manufacturers of building products and other consumer goods, as well as clients in highly regulated industries such as healthcare and insurance, in tort, breach of warranty, breach of contract, regulatory and antitrust matters. Jeff began his career as a law clerk to the Honorable Howard F. Sachs in the United States District Court for the Western District of Missouri. He has remained active in that court throughout his career, including his current service as a member of the court’s Federal Practice Committee, to which he was appointed by the Court En Banc. He has served in significant community leadership roles throughout his career. He is currently on the board of directors of the Kansas City Downtown Council and has formerly served as president of the Kansas City Board of Police Commissioners and chair of the Kansas City Liquor Control Board of Review. Jeff shares his trial advocacy skills with law students at his alma mater, the University of Missouri School of Law, where he teaches advanced trial practice as an adjunct professor. He also provides one-on-one guidance and instruction to young lawyers as a “Master” of the Ross T. Roberts Trial Academy, a program sponsored by the Kansas City Metropolitan Bar Association, to teach advocacy skills in a realistic practice setting. Jeff is the Managing Partner of Husch Blackwell’s Kansas City office and a member of the firm’s Partner Board. Kansas City Star Influencer Series: Shielding LGBTQ people from discrimination: What stands in the way? Kansas City Star Influencer Series: How would you bring transparency to political donations?